You might be surprised to find that the diagnosis of ADHD relates to the child’s birthday. In a new study from Taiwan, the diagnosis of ADHD was more common in the youngest children born in August, just before the start of school compared to those born in September who were the oldest in any particular year of school. For both boys and girls, being born in August raised the risk of an ADHD diagnosis and having medication prescribed. Many professionals (both medical and educational) are worried that the diagnosis of Attention Deficit /Hyperactivity Disorder (ADHD) is reaching epidemic proportions in school age children. In many cases, diagnosis is rapidly followed by medication. This certainly makes the drug companies happy, but is it justified to medicate as a first line of management? In my experience, I have found that neurocognitive maturity is an important variable. In my upcoming book, I write about the great variations in the rate of brain maturation that are seen in all populations. In the important early years, girls tend to mature their cognitive functions earlier than boys (by about 2 years) while the opposite is true for gross motor functions. One MRI study has found that the difference in the brain maturity between the sexes becomes greater over time. 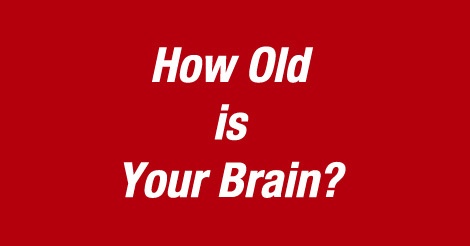 Women’s brains reach full maturity by 20 to 25 years, while men’s do not achieve this until 30 to 35 years. In the early years, there is a high incidence of this ADHD diagnosis in prematurely born children. The research data is clear that those born prematurely, with or without CP, are diagnosed more frequently with ADHD and other learning disorders. The earlier the baby is born, the higher the incidence of this type of problem. Yet here is the important point – a 24-week preemie born in August can at best only have the neurocognitive maturity of a baby born in April. If we agree that this very large study, including the health records of 378,881 children aged 4 to 17 years of age, documents a real difference over a 12 month span, how much more important is the 16 month lag in the tiny preemie? In common wisdom, babies born early are assessed at their age corrected for prematurity until they are 2 years old. Then the fact that they are 1-2-3 or even 4 months younger is forgotten. Now there is NO anatomical or neurophysiologic justification for not continuing to use the corrected age this early. Think about it for a moment. If you have two children born 24 months ago, one born at term and one born at 24 weeks gestation. The one born 24 weeks early has at best the neurocognitive maturity of 20 months, roughly 20% less. Malcolm Gladwell was one of the first to bring the importance of actual age to the forefront in his book, The Outliers. He noticed that older boys born early in the year had a better chance of making it into competitive hockey than boys who were born later in the year and thus relatively younger. Sound familiar? If you have not read this little classic, I highly recommend it. Salman Kahn, in another terrific book, The One World School House, argues strongly against sorting children into school classes by their age rather than by their neurocognitive maturity and readiness for learning. He clearly realizes that each child is a unique individual. Forcing all our children into an out-of-date teaching style creates a significant mismatch. I consider it a must read book for all parents of school aged children. The free videos and interactive learning tools available online at the Kahn Academy are engaging and very helpful. Take a look! I leave you with just two important questions. What if this epidemic of ADHD is, at least in part, a side effect of an outdated, educational system? Should we be medicating over 6 million children in the USA alone for being immature? I encourage parents to become part of this debate. There is no question that some children do better with medication, but as this large study documents, neurocognitive maturity is a big part of the picture. The full article in the Journal of Pediatrics is available to download for free at this link. Thank you for the comment Dee Dee, It seems obvious that school readiness will vary child to child.Salman Khan wrote a brilliant book The One World School House that discusses this idea at length.